It's funny I still probably have way too much of everything but I'm actually starting to find space in drawers and boxes and within the next of month or so I'll need to buy some body scrub, yes need! I won't be buying something because it's on offer or because I feel the urge to buy something I'll be buying something because I need it. It just shows that I am starting to make a little bit of progress in Trimming My Stash particularly when it comes to body and hair care products. When it came to body and hair bits September was another good month, out of the 7 products that I finished 6 were body and hair related. Although I was pleased that I finished 7 items I really need to try a bit harder when it comes to skin care and make up. 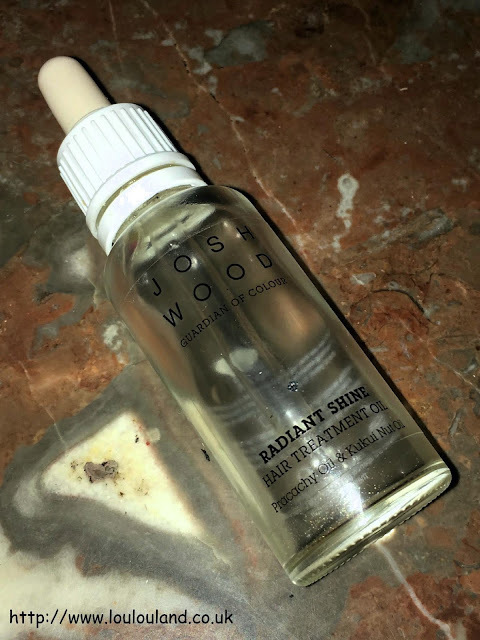 The thing is though I do know where I'm going wrong; When it comes to skincare i seem to have to many bottles, jars and tubes open at once, so I never seem to use anything consistently. That's got to stop, my new plan is too finish whats in the bathroom and then try something new, rather than just trying something as soon as I get it. I often wonder why my skincare doesn't do what I want it to and that's probably why! Make up is another obvious one, I own way to much of it when you consider what I actually wear. 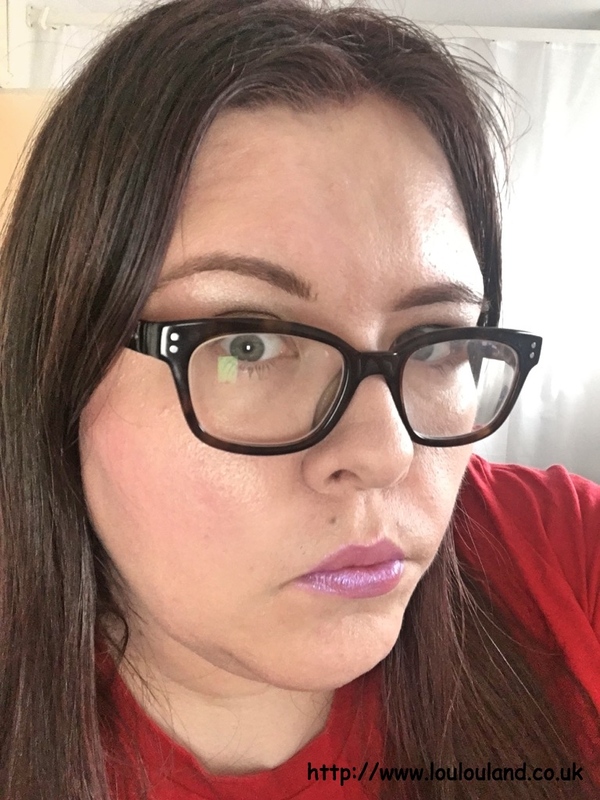 Unlike a lot of people I don't wear make up every day and when I do I get a bit lazy and always use the same stuff. That's got to stop too, I need to wear make up more often, I need to switch up what I do wear, and again I need to finish some of those half used bottles and tubes! 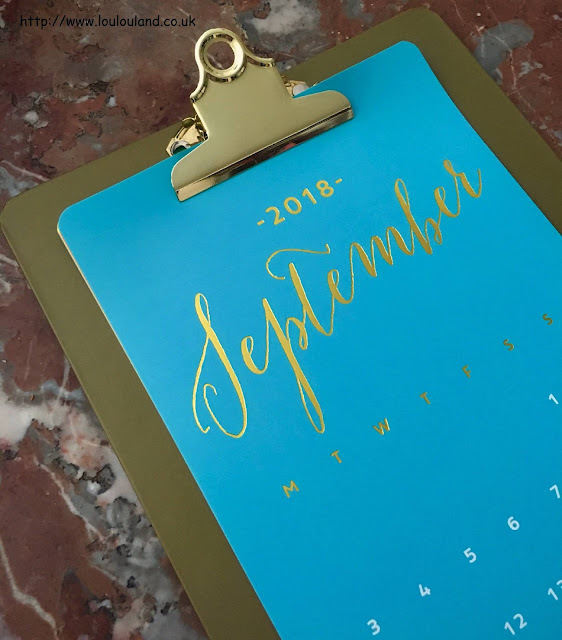 Sounds easy enough but as per usual we'll see what happens over the next few months x Before I start painting my face and removing make up, every three seconds though lets take a look back and see just exactly what I did manage to finish in September. I've talked about cleansing wipes a lot on the blog, and whilst I firmly believe that they shouldn't be used as part of an everyday skincare regime, I do believe that they can play their part in well, this blogger at leasts, everyday life. I use them for everything from cleaning up swatches, to wiping sticky hands, and cleaning down make up palettes, I swear by them and the ones that I always turn to are Primark's tea tree based wipes. Although the packaging and the name has recently changed, they are the ones that I always stock up on when I'm in store. Primark trips have been a little bit thin on the ground though this year, and in the 3 or so month gap in between visits I ran out of wipes. 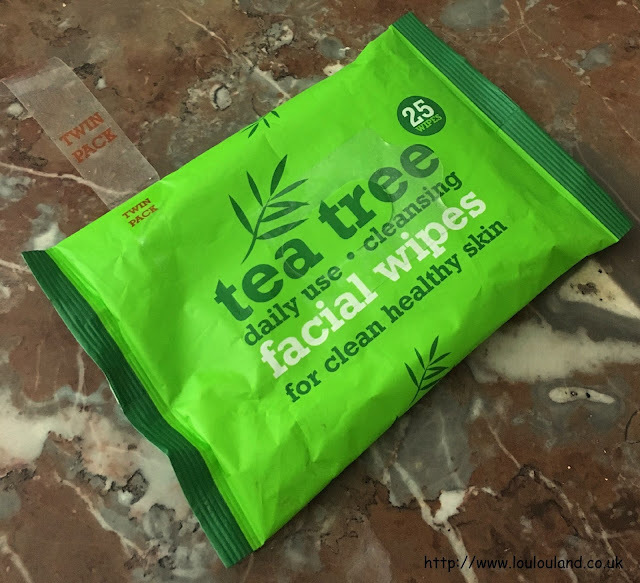 On a recent trip to another bargain haunt though, B&M Bargains I saw these tea tree based wipes and thought that I'd give them a try. They were the same price as the Primark ones at £1 for 2 packs of 25 wipes but unfortunately that was the only similarity. These are actually tea tree and peppermint wipes, so instead of the traditional tea tree scent that I was expecting these actually had a very strong almost minty, menthol type scent. As I say I don't use wipes that often on my face (I prefer micellar waters when I'm in a rush) but I did try these out on my face once, and to be honest once was enough. The scent made my eyes water, and I did find them to be quite drying. In the future I'll definitely stick to the Primark wipes, and despite the fact that these are also readily available in Poundland, I don't think that I'd buy them again and I'll probably use the remaining packet for my hands and for swatch clean up. When it comes to foot cream I can completely understand why people like mint or tea tree based products, whilst it's true that they are perfect for deodorising and refreshing tired feet, I can't help it they just aren't my favourite scents. I love lavender, floral or fruity scents and this foot cream from Soap & Glory falls perfectly into the latter category. With a fruity fresh scent, this isn't the thickest of foot creams but thanks to the high concentration of fruit acids that it contains, with regular use it makes a big difference. Although I suffer from poor circulation, and my feet can often feel like blocks of ice, I can't standing having hot or over heated feet so wearing socks overnight is a big no no for me, instead I apply this (or any other cream) all over my feet after a shower, then I put on a pair of socks and let the cream do it's thing. This particular cream sometimes tingles a little bit on application but it's not uncomfortable it just feels as though it's doing something. I normally leave the socks on for 2 or 3 hours if I can and when you remove them you're left with much better looking, softer feet. I've used this product a few times before after getting in a few of the Boots Soap & Glory Star Gifts and I would definitely consider repurchasing. I don't know whether it's because I'm getting older or whether it's down to the noticeable change in the weather but the skin on my body is definitely feeling a little bit tighter and drier at the moment, so I'm trying to be good and applying a body lotion or body cream every day rather than just when I remember. I love thick creams and butters in the winter but at the moment lotions are my go to for daily use and this particular product is without a doubt one of the best body lotions that I've ever used. 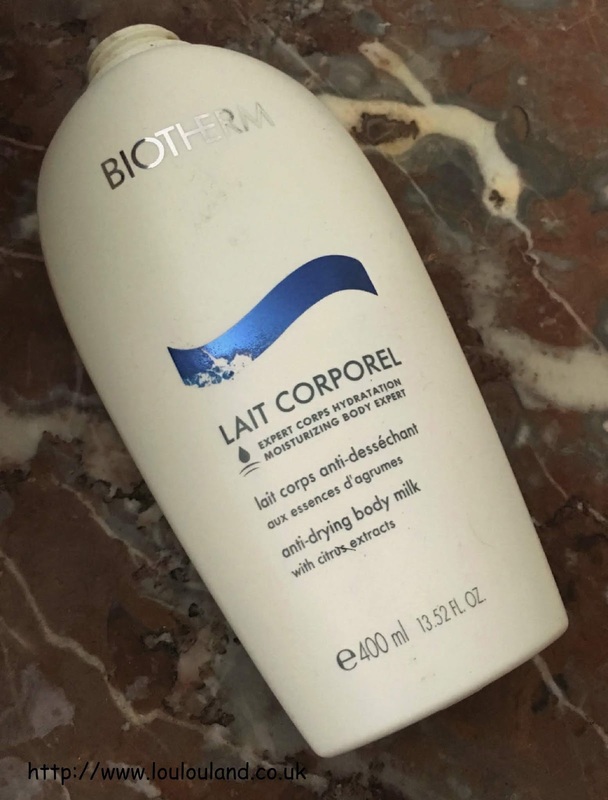 I was first introduced to this product over 10 years ago now when I won a huge bagful of Biotherm goodies in a magazine competition and I've used it and love it ever since. Push down the pump action dispenser (not pictured - sorry!) and you're introduced to a slightly unpromising looking milky lotion, get past the initial appearance though and inhale the fresh orange, citrus scent, and slather a small amount all over your body. Given the texture it absorbs quickly and easily with no stickiness, tackiness or roll off, and it leaves the skin feeling silky soft in seconds, and surprisingly considering the texture, it's a feeling that lasts for hours. In my opinion to put it mildly this is fabulous stuff, and it's something that despite owning pretty much a store full of body products that I would definitely repurchase. 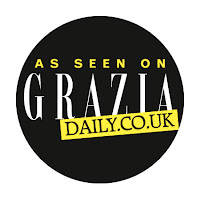 The brand isn't that easy to get a hold of in store in the UK now but you can buy it online from sites including FEELUNIQUE and allbeauty. 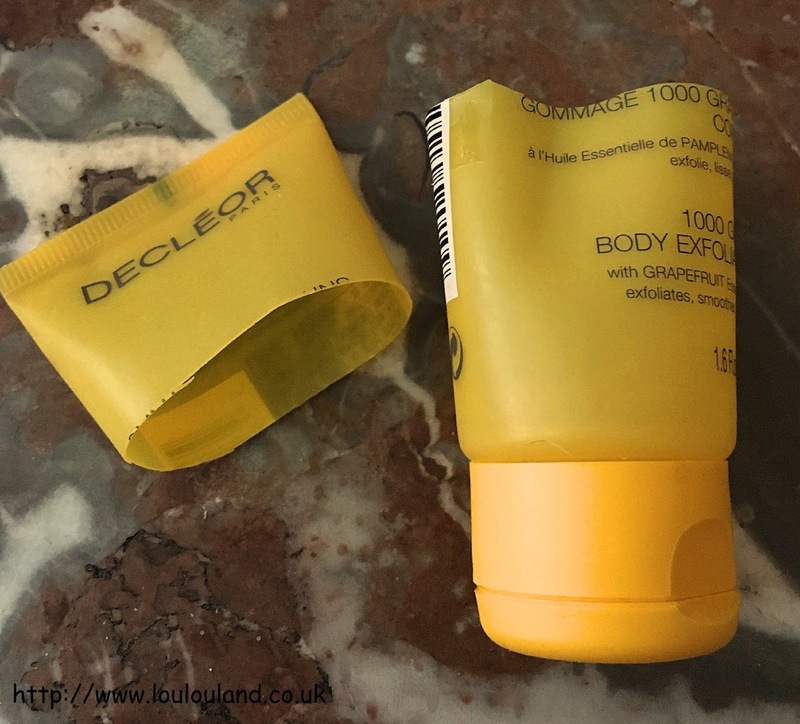 Earlier in this post I did say that I was starting to run a little bit low on body scrubs and as a result I've been using a few minis, and smaller products before I move onto my last 3 Christmas themed scrubs from The Body Shop, and this is the first of them. 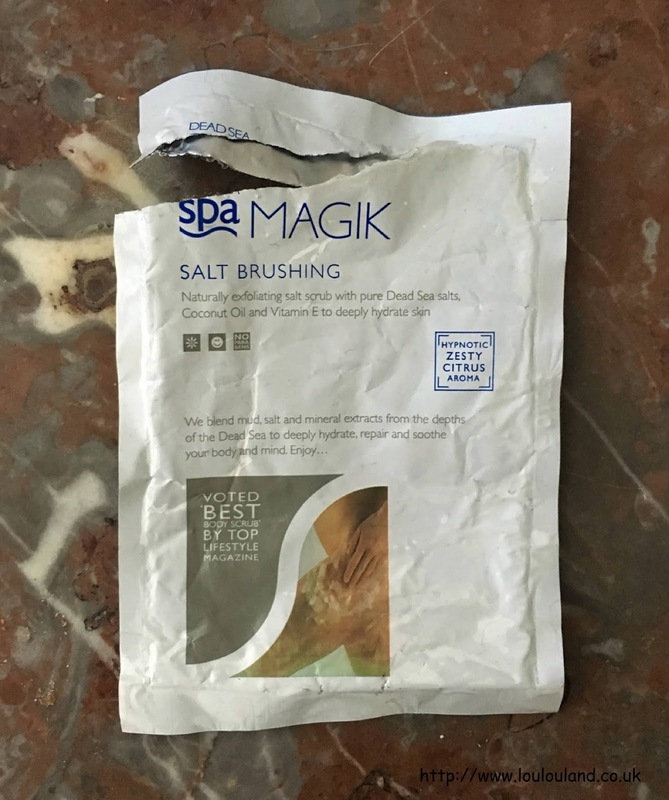 Now as you know I love salt and sugar based scrubs and as the name would suggest this one is crammed full of Dead Sea Salt, combined with coconut oil, and vitamin E. It is apparently Dead Sea Spa Magik's best selling product and it's easy to see why. It has a lovely scent, and it's very scrubby. It works best when it's applied to dry skin, simply massage it in to the limbs and problem areas and rinse away. It rinses off really easily and the high oil content left the skin feeling really smooth. The only thing I would say is that don't use this on broken skin, I accidentally used it on an area that had a cat scratch, and to say it stung was an understatement. Despite that though this was a great scrub and it's definitely something that I would consider repurchasing. Next up a scrub from high end French aromatherapy skin and body care brand Decleor. The big selling point of this one was definitely the smell, it contains real grapefruit essential oil, and with every use you got a yummy, zingy, refreshing hit of grapefruit that really revived the senses. It had a sort of oil / gel consistency which transformed to more of a milky consistency when you added it to water. It was a nice enough product and as I say I loved the scent but it just wasn't scrubby enough for me so I probably wouldn't repurchase. The final two beauty products that I finished in September were both hair products, and this shampoo and the matching conditioner, which I haven't quite finished yet, both made in appearance in the May 2018 edition of Glossybox. (You can watch my original unboxing video below or via this link). As you know I love trying out new brands and this brand is a new one to me. 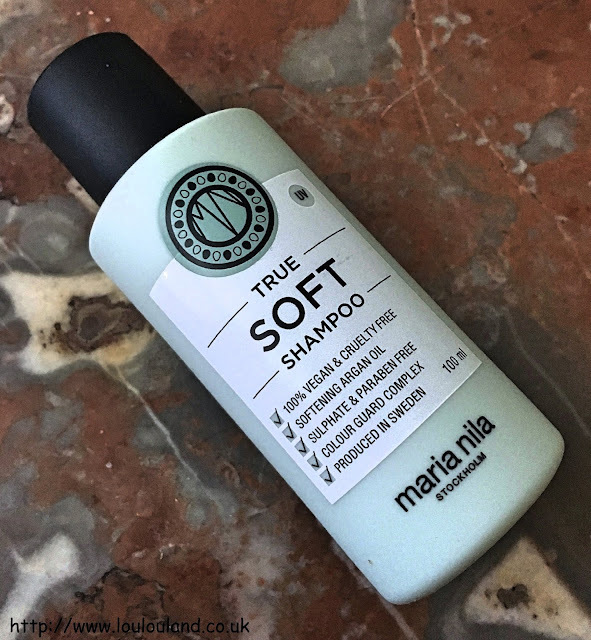 Hailing from Sweden, Maria Nila is an environmentally conscious brand, that is leaping bunny, PETA, and Vegan Society certified and after using this product I have to say that both myself and Mummy Lou are fans. This is a gentle shampoo that is designed specifically for drier hair types, it contains argan oil, seaweed extract, and Maria Nila's exclusive colour guard complex, and it's also both sulphate and paraben free. Despite the lack of SLS it still foams really well and it has a lovely fruity, floral scent that reminds me a little bit of the original Giorgio Armani's Acqua Di Gio, which is one of my favourite fragrances of all time. The scent is obviously a huge plus point for me but this shampoo is so much more than that, both me and Mummy Lou loved how it made our hair feel, and the ethics behind the brand. The brand isn't that easy to get a hold of in the UK but it goes without saying that I would definitely consider repurchasing both this shampoo and the matching conditioner. The final empty from September is another hair product and it's a product that I discovered in one of the M&S beauty advent calendars. I've seen a lot of stuff written about beauty advent calendars lately including one comment that the only people that buy them are bloggers who aren't on press lists? WTF? and here's my two penneth, you pays your money, and you takes your choice, if you want one then get one, some are better value than others so have a look around and choose the best one for you. 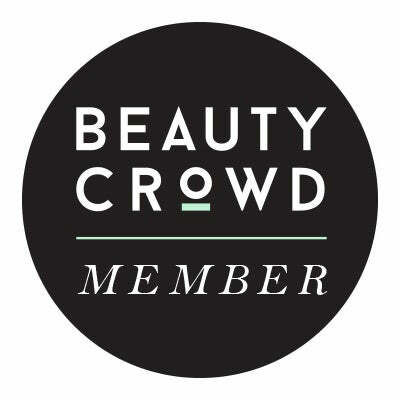 Personally I love them, I've quite a few beauty ones now and like beauty subscription boxes they give you a great opportunity to try something new, a new product or a new brand, or they give you a chance to stock up on minis for holidays and travel. I've got the Glossybox one on pre order this year and personally I can't wait to start opening up the doors. Why do people need to be so grumpy, critical and judgemental all the time - let people do what they want! Anyway enough of the rant, I discovered this product in an M&S calendar and for me and many others it was love at first use. Marks and Spencer previously collaborated with celebrity hair colourist Josh Wood to produce a range of root cover ups and hair products, but like so many things the entire range has now been discontinued and sadly Josh Wood doesn't sell anything simililar in his own salons. It's a real shame because this product in particular still has a lot of fans. I love hair oils, you can use them as a pre shampoo treatment to add moisture and you can also use them to detangle wet hair, and on dry hair to add shine and tame frizz. I've used a lot of them and I've loved a lot of them too and this one was one of the best. Enriched with kukui and pracaxi oil it had an expensive almost designer perfume, inspired aromatherapy type scent which gently lingered on the the hair. It was slightly thick in appearance yet it felt surprisingly felt quite lightweight on the hair. It was a really nice product and I'm so sad that the range has disappeared, bar a few ridiculously priced bottles on ebay - please Josh Wood and M&S bring this one back!